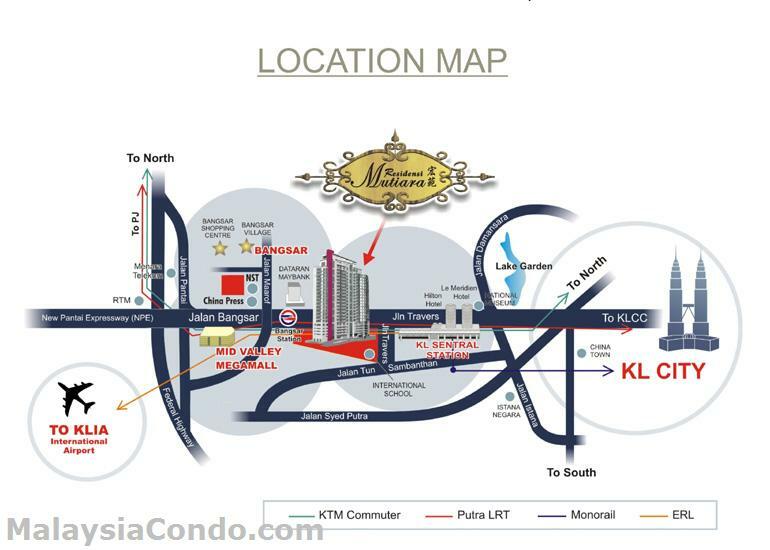 Residensi Mutiara is strategically located in the heart of Kuala Lumpur, with an easy access to Mid-Valley City and Kuala Lumpur Sentral. 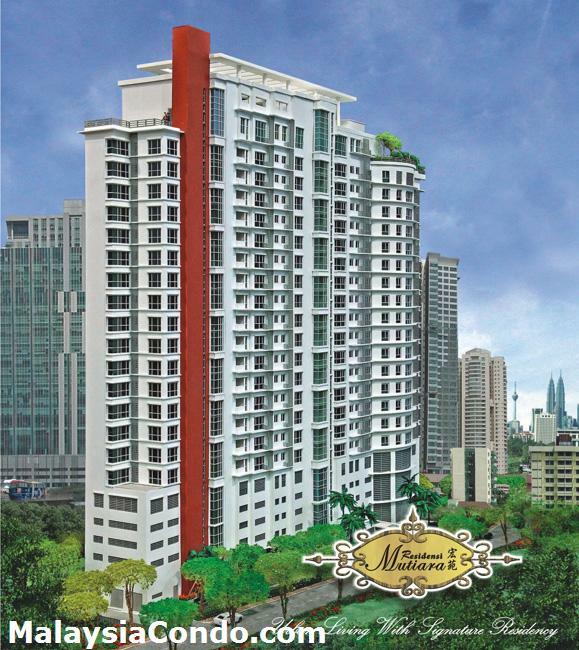 It is also within 10 minutes walking distance to the LRT Bangsar Station and Sentral Station. 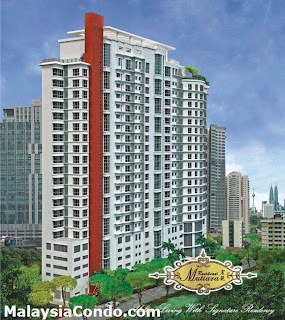 Residensi Mutiara consists of 110 condominium units with built-up area ranging from 1,068 to 1,727 sq.ft. The design of the condominium is unique 'Suite Within Apartment' concept whereby the layout allows each unit to be divided into 2 separate units. Facilities at Residensi Mutiara condominium include a roof top infinity swimming pool, sauna, gymnasium, multi-purpose hall, children playground, BBQ area, 3-tier security system, integrated intercom system, access card, covered car park. Built-up Area : 1,068 - 1,727 sq.ft.